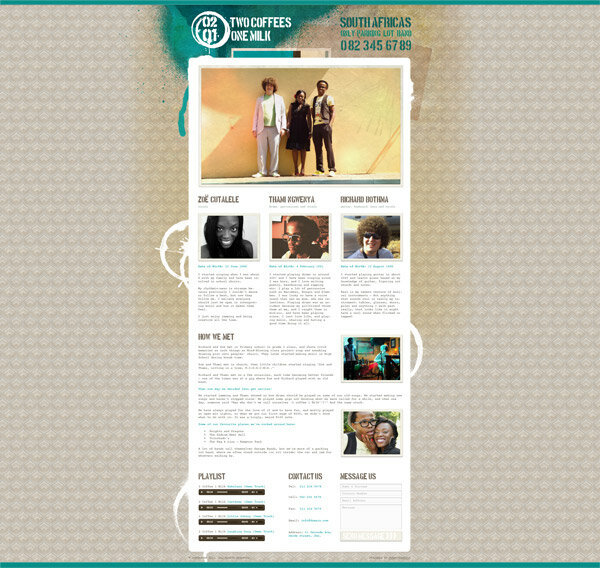 A collection of websites I've designed. Aquazania is a premium water product for office use. SA's only parking lot band. 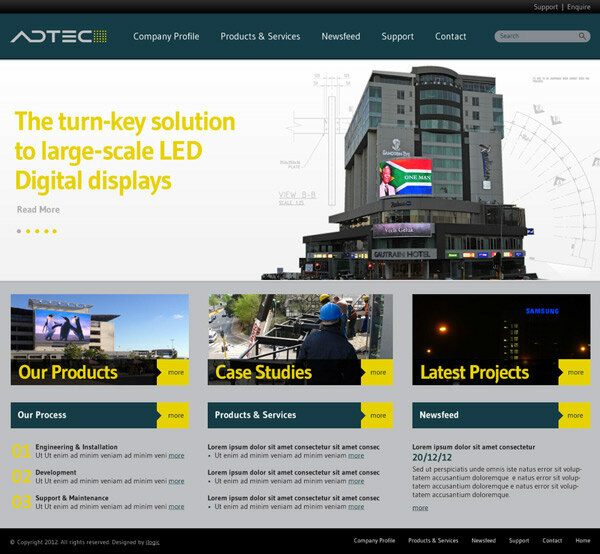 Adtec is the turn-key solution to large-scale LED digital displays. 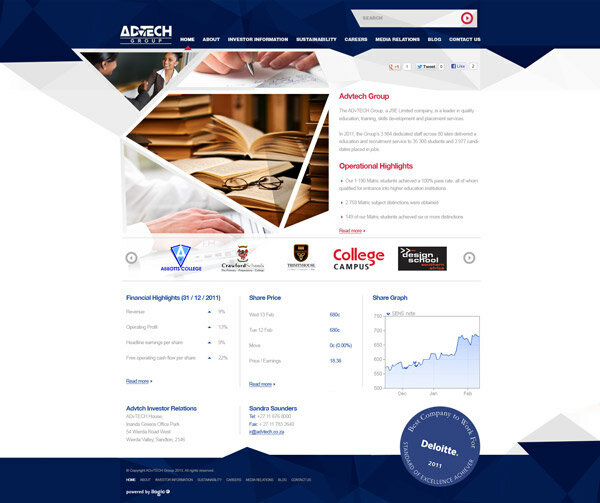 ADvTECH leads the private sector in the fields of education and resourcing in South Africa. From smart to casual, funky to fast fashion, you can express your individual style with ALDO shoes. 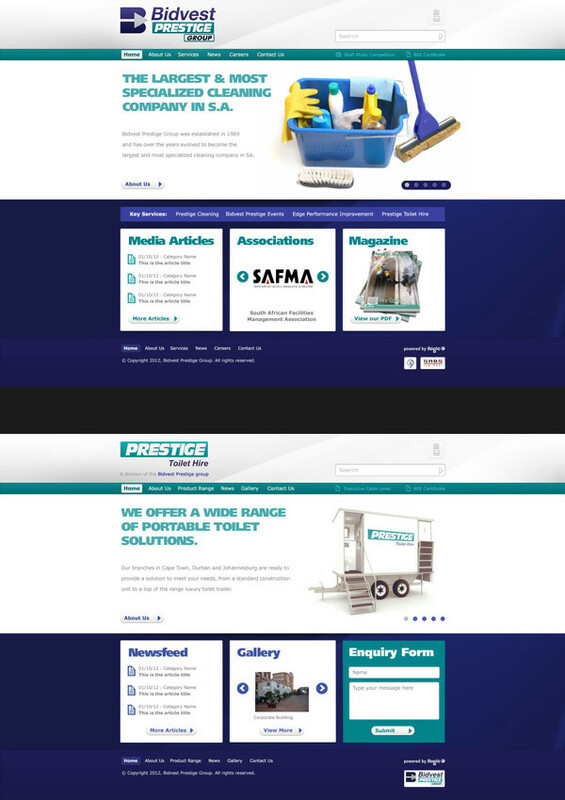 Prestige Cleaning offers the Widest Range of Professional Cleaning, Sanitation and Hygiene Services in South Africa. Brandyourcar.com matches advertisers with everyday consumers to brand their cars for cash. 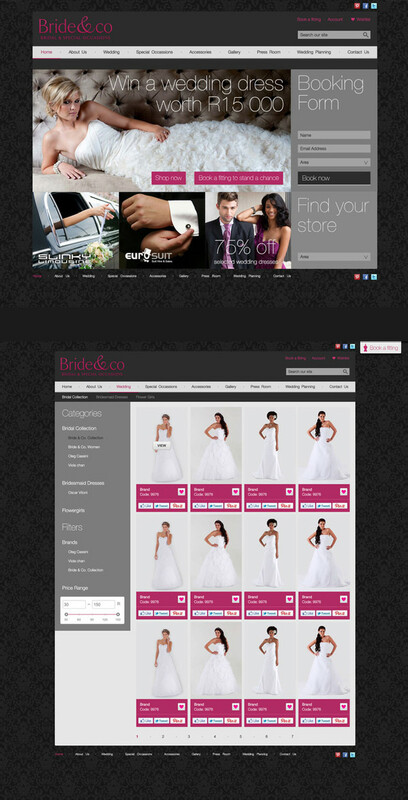 Bride and Co is South Africa's largest wedding outlet. 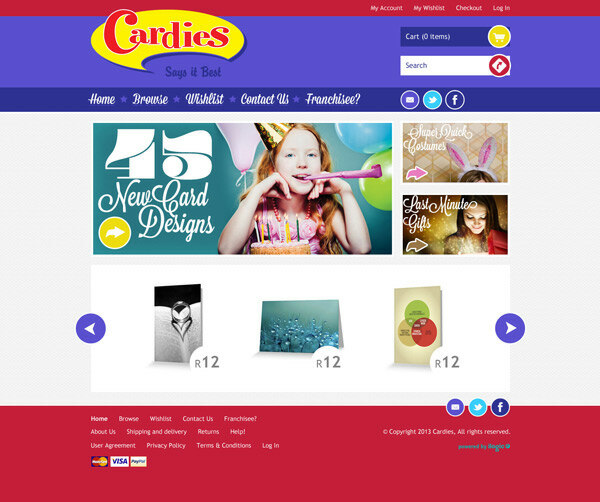 Cardies is a gift and novelty store. 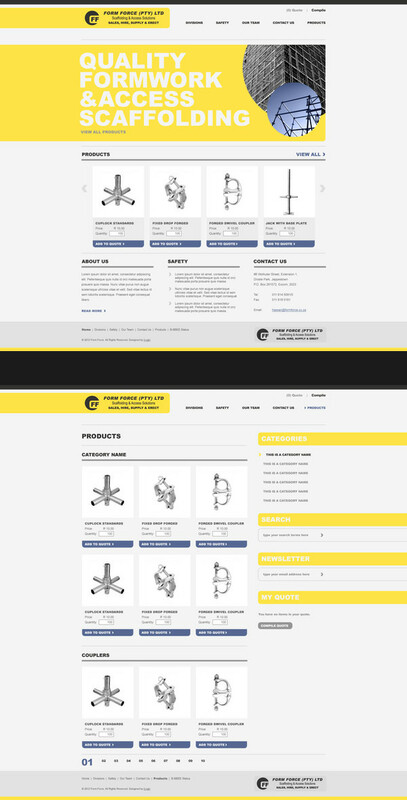 Daily homes was a proposed low-cost house sourcing website. IDM is the division of Eskom that deals with the managment of electricity consumption (Integrated Demand Management). 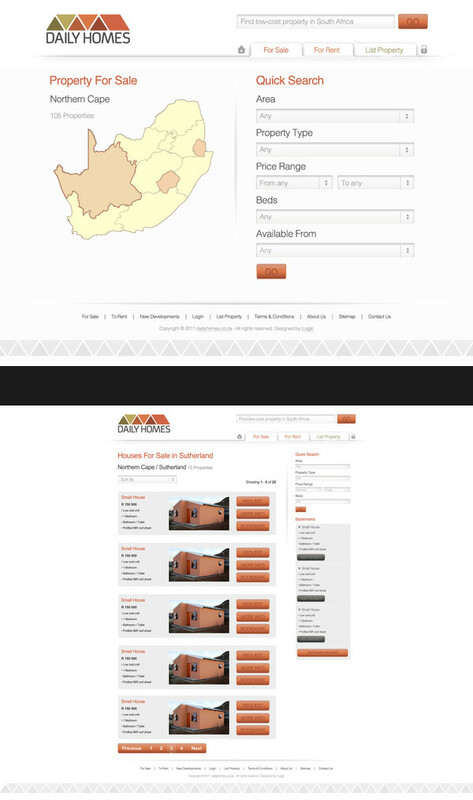 Form Force (Pty) Ltd is a leading manufacturer & supplier of quality heavy duty Formwork & Access Scaffolding. FUTURELIFE® is an all-in-one low GI breakfast cereal. 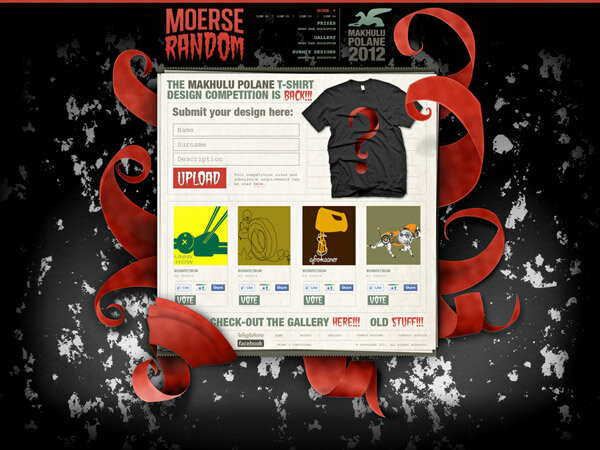 Makhulu Polane is a T-shirt design competition run by Big Blue clothing stores. Numatic international is a vacuum manufacturer and distributer. Party Market is an ecommerce outlet for party paraphernalia. Primedia Unlimited is a leading Out of Home media provider in South Africa. The Biz Coach is an entrepreneur mentorship company.